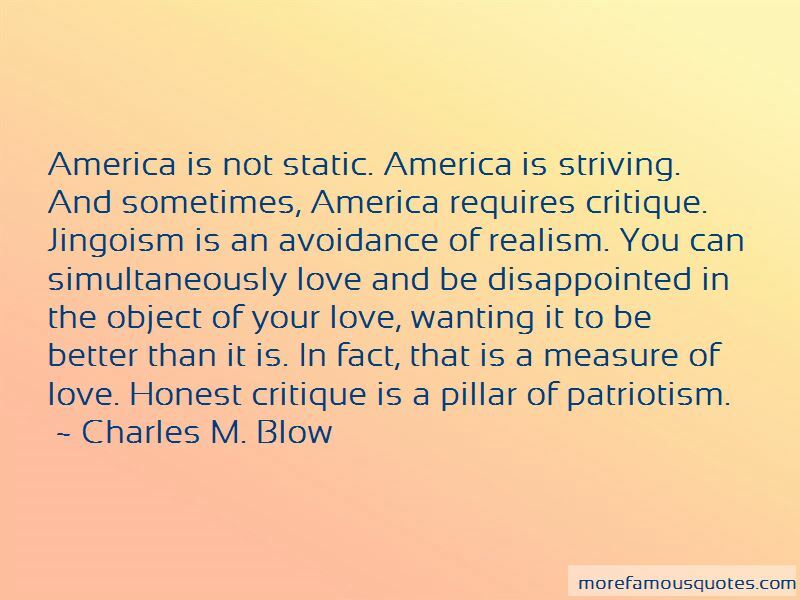 Enjoy the top 46 famous quotes, sayings and quotations by Charles M. Blow. One doesn't have to operate with great malice to do great harm. The absence of empathy and understanding are sufficient. In fact, a man convinced of his virtue even in the midst of his vice is the worst kind of man. A lie is like a cat: you need to stop it before it gets out the door or it's really hard to catch. Voter apathy is a civic abdication. Trying hard and working hard is its own reward. It feeds the soul. It affirms your will and your power. And it radiates from you, lighting the way for all those who see you. We don't vote for people because they are the exact embodiment of our values, but because they are likely to be the most responsive to them. 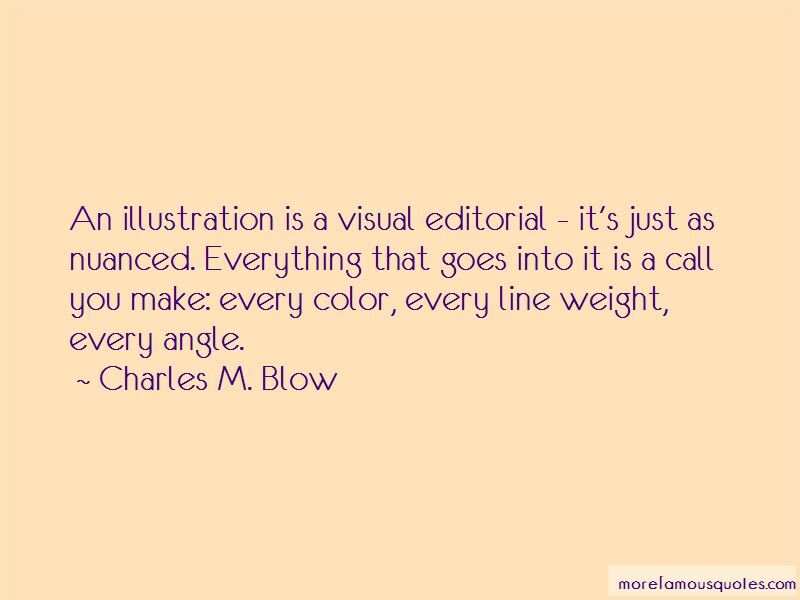 An illustration is a visual editorial - it's just as nuanced. Everything that goes into it is a call you make: every color, every line weight, every angle. The Obama years will be remembered as a cultural - and legal - tipping point for equality for all people who do not identify as strictly heterosexual, arguably the civil rights movement of our times. The president signed the bill repealing 'don't ask, don't tell.' The Defense of Marriage Act was struck down by the Supreme Court. I have always loved science, but I have always loved the arts - drawing, painting and, yes, writing - more. You don't become a teacher to make a world of money. You become a teacher to make a world of difference. Different is not deviant, no matter what the world may say. You have the moral obligation to love yourself. 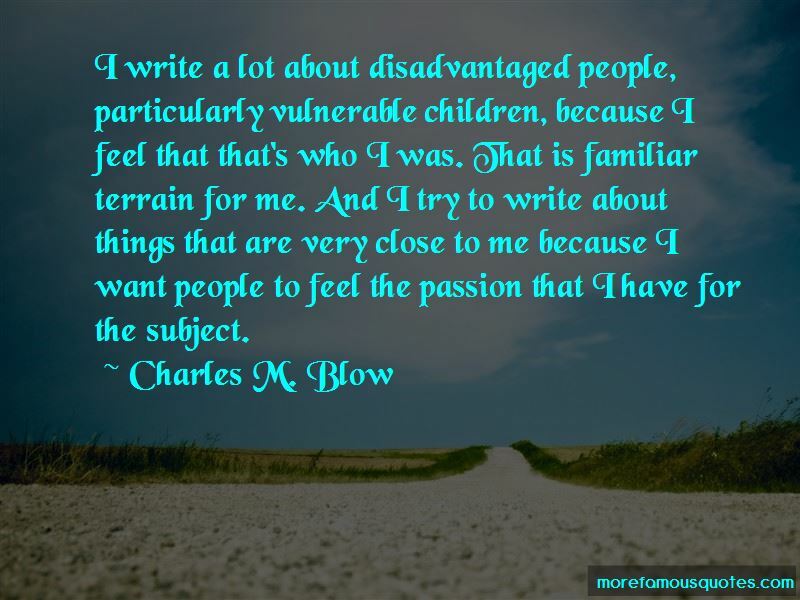 Want to see more pictures of Charles M. Blow quotes? 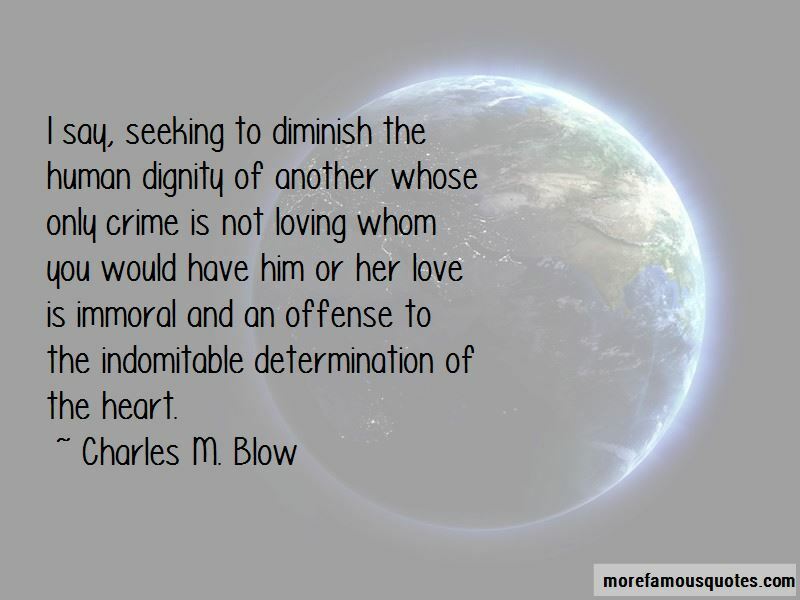 Click on image of Charles M. Blow quotes to view full size.